• Plant sterol that blocks the absorption of cholesterol into the body and Beta-glucan from oats that binds with cholesterol in the body and removes it from the body. • Lower your cholesterol with the Power of 2 in this one convenient and tasty drink. 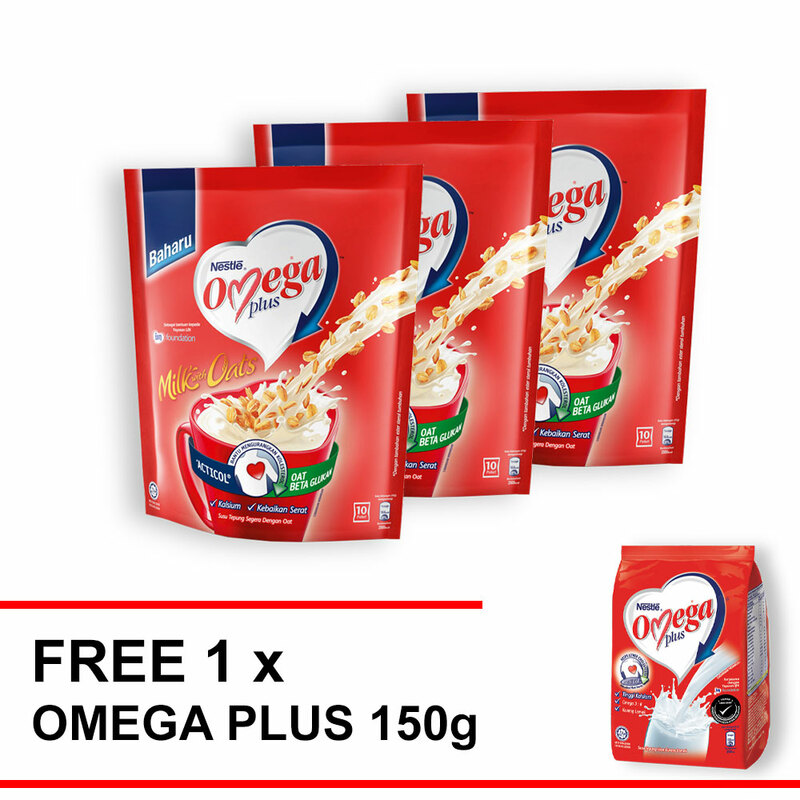 2 servings of the new NESTLÉ OMEGA PLUS® Milk with oats contains BOTH 1.2g of Acticol® PLUS 1.6 of Beta-glucan. The combination of these 2 cholesterol lowering properties is proven to help lower cholesterol* effectively.With the combination of these 2 elements, you no longer have to consume oats in such large quantities (3g Beta-glucan is needed to lower cholesterol) and there is an easier way to get the beta-glucan you need to lower cholesterol effectively.